Neutrals are timeless, but as this gorgeous backsplash design shows, aren't boring. 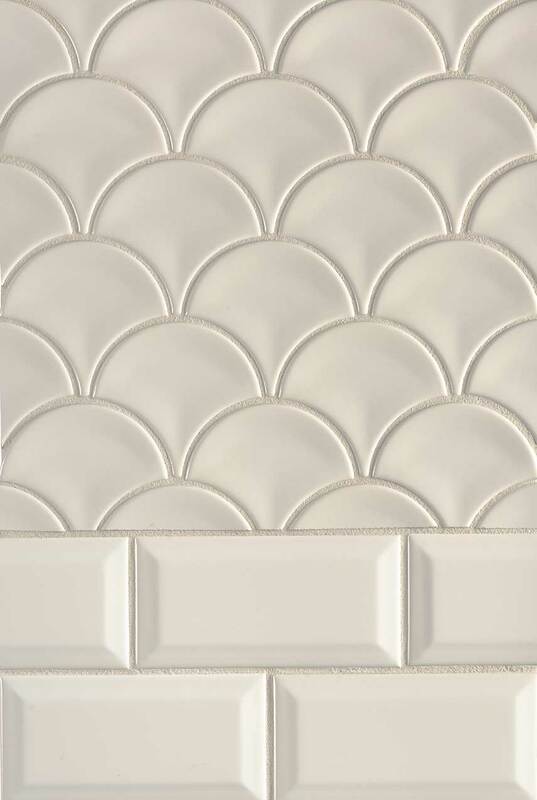 Here Almond Glossy Fish Scale backsplash tiles are partnered with matching Almond Glossy Beveled Subway Tiles to create an elegant backsplash for kitchen or bath. These on-trend backsplash tiles are perfect for design styles from traditional to contemporary.